Just because a building doesn’t reach the criteria for listing and protecting as a historic structure doesn’t mean it isn’t worth saving. Nearly a year ago I wrote about to the loss of the Tudno Castle Hotel, Llandudno, which, though listed Grade II, was completely demolished after an inadequate survey failed to show that a scheme to retain only the façade was in fact impractical: http://www.mikehigginbottominterestingtimes.co.uk/?p=5311. More recently, my Isle of Man friend John spotted the demise of the long-derelict Imperial Hotel on Douglas Promenade at the end of August 2018: http://www.iomtoday.co.im/article.cfm?id=38524&headline=The%20end%20is%20nigh%20for%20Victorian%20hotel&sectionIs=news&searchyear=2018. The Imperial dates from 1891, one of a number of imposing sea-front hotels by the Manx property-developer Alexander Gill (c1852-1919). Others still remaining include the Hydro (1910) and the Empress Hotel. The Imperial closed in 2006, and remained unused except as an occasional training site for police sniffer dogs. Douglas Promenade is actually a series of promenades, built 1875-1890 to take advantage of the broad sweep of Douglas Bay by providing building land for the island’s growing tourist industry. The whole extent of the Promenade is designated as a conservation area: https://www.gov.im/media/633077/douglaspromsconsarea.pdf. It’s a magnificent sight despite regrettable gaps where ungracious modern structures have replaced Victorian originals such as the Palace Pavilion & Opera House (1889 onwards, demolished 1965 and 1994), the Promenade Methodist Church (1876, demolished 1975) and the Villiers Hotel (1879, demolished 1995). The late Gavin Stamp wrote about the insidious threats to the island’s built heritage when the Villiers Hotel was at risk in 1994: https://www.independent.co.uk/arts-entertainment/art/news/the-isle-of-mammon-is-ripping-out-its-soul-the-manx-governments-indifference-nay-hostility-to-1448732.html. The Isle of Man’s parliament, Tynwald, has its own system of Registered Buildings, without the grading that applies in the UK. Manx registrations began in 1983, and so far cover only 275 buildings, with another 250 under consideration. Consideration of extending the list has not been energetic. According to Wikipedia – there seems to be no online version of the official list – there were four registrations in 2014, one in 2015, four in 2017 and so far only two in 2018: https://en.wikipedia.org/wiki/Registered_Buildings_of_the_Isle_of_Man. An Alliance for Building Conservation (ABC) was formed in 2016 to co-ordinate campaigning to protect the island’s built heritage: http://www.abc.org.im/index.php/abc-background-and-history. One of the Alliance’s achievements has been a regular series of articles in the Isle of Man Examiner highlighting causes for conservationist concern. 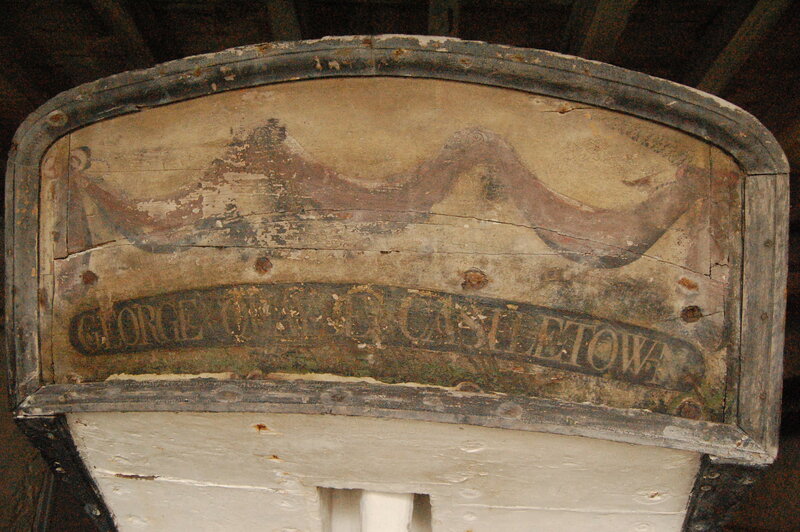 A recent article reviews the glacial process of changing Manx attitudes to historical conservation: http://www.iomtoday.co.im/article.cfm?id=40533. Because it takes so long to list worthwhile Manx buildings, it’s no surprise that less distinguished places like the Imperial Hotel come to grief, yet their group value is invaluable, and when the gaps they leave are replaced by mediocre substitutes, or left empty, the effect diminishes the whole. Though the Isle of Man is small in extent, it’s rich in history. In many places in the UK and across the world the historic heritage is seen to be good for the local economy. Unfortunately, in the Isle of Man investment and commercial development tend to be at odds with the good of the environment. This entry was posted in Fun Palaces, Manx Heritage, Victorian Architecture on September 9, 2018 by Mike Higginbottom. Walking through the crowds of shoppers on Strand Street in Douglas, Isle of Man, I spotted an opportunity to photograph the surviving façade of the Strand Cinema. My friend John, who’s lived on the island for over ten years, had never noticed it before but immediately clocked, from his intimate knowledge of Manx organs, that it was connected with a celebrated cinema organist, Dr George Tootell (1886-1969). The Strand Cinema was one of seven Douglas cinemas that made their profits from the holiday trade rather than the permanent population. It opened in 1913, and went over to bingo sometime in the late 1960s. The Strand has an attractive white faience façade, and when the auditorium was demolished in 1998 the frontage was retained and restored. Dr Tootell’s connection is interesting. He had begun his professional career as a church organist and music master in schools in north-west England, and worked in North America launching and demonstrating new organs for the Wurlitzer Company. He held successive posts as a resident organist in British cinemas and wrote an opinionated but practical manual for theatre organists, How to Play the Cinema Organ: a practical book by a practical player (1927). He had a particular connection with the Jardine organ-building company of Manchester [http://www.organbuilders.co.uk], who installed several instruments to his design when he was resident at the Palace Cinema, Accrington, and at the Kingsway and Stoll Picture Theatres in central London. In Douglas, Jardines constructed the organ at St George’s parish church where Dr Tootell was resident organist. It was not, it seems, one of their more fortunate pieces of work: a Manx historian describes it as “a neatly packaged mountain of mechanism and pipework which was doomed as a musical instrument.” [http://www.isle-of-man.com/manxnotebook/music/organs.htm]. The most ingenious feature of this installation was the side door which allowed Dr Tootell to leave St George’s before the end of the service to fulfil his contract to play at the Strand Cinema while his deputy played the final hymn and voluntary. No-one seems to have raised the slightest objection – or indeed to have noticed – the unobtrusive way in which Dr Tootell contrived to bat for both sides. This entry was posted in Fun Palaces, Manx Heritage on July 16, 2017 by Mike Higginbottom. Change comes very slowly in the Isle of Man. Kirk Malew, the ancient parish church for Castletown, then the capital of the island, probably dates from the twelfth century, though an earlier cell, or keill, probably occupied the site in the centuries before. The core of the church is a simple rectangle, combining nave and chancel, with a bell turret added c1770. The chancel was rebuilt in 1781, and two years later a substantial north wing with a raked floor – much more an auditorium than a transept – was added and the entire interior filled with box pews. A gallery was added for the Billowne family in 1818. Not only does the interior retain the customary box pews of an eighteenth-century church, it is an odd-shaped space, a T-plan which forces some members of the congregation to face the organ rather than the altar. The Victorian period brought little change – a window by William Wales of Newcastle (1843) and another signed by the mid-nineteenth century artists Baillie and Mayer. The old church, dedicated to St Lupus, declined in importance after the opening of St Mary’s in the centre of Castletown, a mile and a half away, in 1828, and Castletown itself lost prestige when the Manx parliament, Tynwald, moved to Douglas in 1869. Its most recent addition is the Manx artist Bryan Kneale’s monument to Illiam Dhone, “Brown-haired William”, otherwise William Christian, the Receiver of the Island and latterly Governor during the Commonwealth period, executed arbitrarily in 1663. His nickel-silver bust gazes at the site of his burial in the chancel. Even though St Lupus’ church is no longer the parish church of Castletown, a tradition remains that each Bishop of Sodor & Man preaches his first and last sermon in the diocese at Kirk Malew. This entry was posted in Manx Heritage, Sacred Places on August 8, 2016 by Mike Higginbottom. By a miracle nobody was killed or injured when the Manx Snaefell Mountain Railway no 3 inexplicably ran down the mountain on Wednesday March 30th: http://www.iomtoday.co.im/news/isle-of-man-news/pictures-runaway-mountain-tram-crash-drama-1-7824668. Someone must have had a heart-stopping moment when they turned round and found their tram had disappeared. Fortunately there was no-one on board. Even more fortunately the tram overturned on the bend before it could reach the road-crossing at the Bungalow. A road collision at the Bungalow would certainly have been fatal. If instead the tram had continued down the line beyond the Bungalow it would have caused even more destruction, whether somebody had had the presence of mind to set the points to run it into the depot or, worst of all, if it had run on into Laxey, over another main road and into the terminus where there are buildings, crowds of people and possibly other trams. 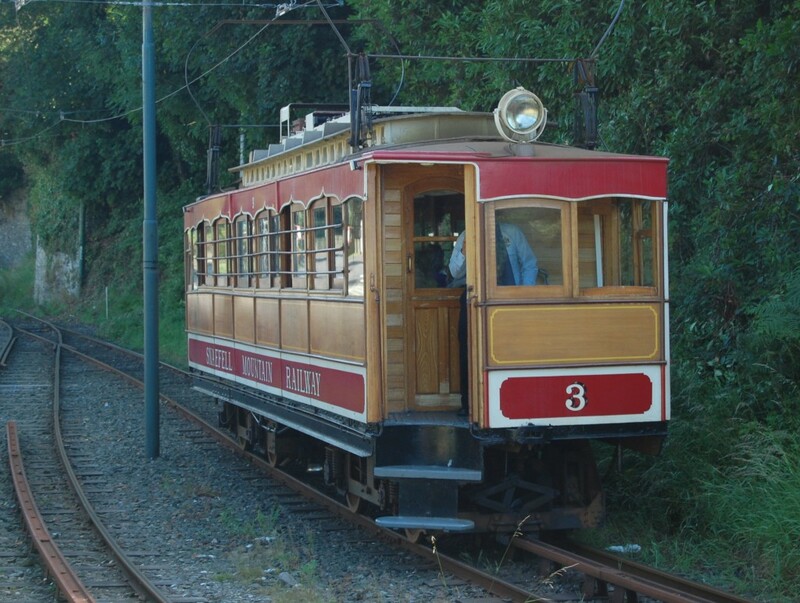 How an empty, parked tram unexpectedly took off down the steep incline isn’t yet explained, but the restoration of the service within three days indicates confidence that the cause is known and can be certainly avoided in future. This clip from the Isle of Man News gives more detail: http://manx.net/tv/mt-tv/watch/77830/tram-crash-update. There has never before been a runway on the Snaefell Mountain Railway in 120 years of operation, though there was one on the Llandudno funicular Great Orme Railway in 1932. Certainly no 3 is matchwood. It can’t be restored in any meaningful sense, though like its companion no 5, destroyed by fire in 1970, it could be replaced by a close facsimile, which may include components from the original. Update: News articles about the subsequent analyses of this incident make interesting reading: http://www.iomtoday.co.im/news/isle-of-man-news/isle-of-man-newspapers-wins-freedom-of-information-appeal-over-snaefell-tram-crash-1-8337886 and http://www.iomtoday.co.im/news/isle-of-man-news/runaway-tram-had-defective-brakes-1-8337906. This entry was posted in Manx Heritage, Transports of Delight on April 10, 2016 by Mike Higginbottom. John Cameron was a Victorian engineer whose career deserves to be better known. He began his career as a ganger on the Settle & Carlisle Railway in the early 1870s, and was a subcontractor for the Manx Northern Railway in 1878. He stayed on to serve as secretary and manager of the Manx Northern from 1879, making it the cheapest operational railway in the British Isles, and he built the Foxdale Railway in 1886. He was appointed consultant engineer for the Douglas-Laxey electric railway and the Snaefell Mountain Railway, but left the island before the electric railway extended from Laxey to Ramsey and was renamed the Manx Electric Railway. In 1898 he became secretary and manager of the Blackpool & Fleetwood Tramroad. Both the MER and the Tramroad were promoted by property speculators. The Manx line started out as a pretext for property development north of Douglas, and became involved in a bubble of enterprise that spread to electricity supply, quarrying and hotels and burst spectacularly in 1900. The sponsors of the Blackpool & Fleetwood Tramroad, Benjamin Sykes and his business partner Thomas Lumb, between them owned or had significant control over virtually all the undeveloped land along the tramroad route. They proceeded cautiously, and eventually sold their line to Blackpool Corporation in 1920. For both these electric railways John Cameron provided very similar rolling stock, flat-fronted box-shaped single-deckers with corner entrances. The Manx Electric Railway was laid to three-foot gauge track, but the Snaefell Mountain Railway, fitted with a central Fell rail to aid adhesion and braking, is 3ft 6in gauge. The Blackpool & Fleetwood Tramroad, running along the spacious, gently graded Fylde coast, was built to standard 4ft 8½in gauge. The obvious similarity of the rolling stock on the two lines is clearly Cameron’s signature. 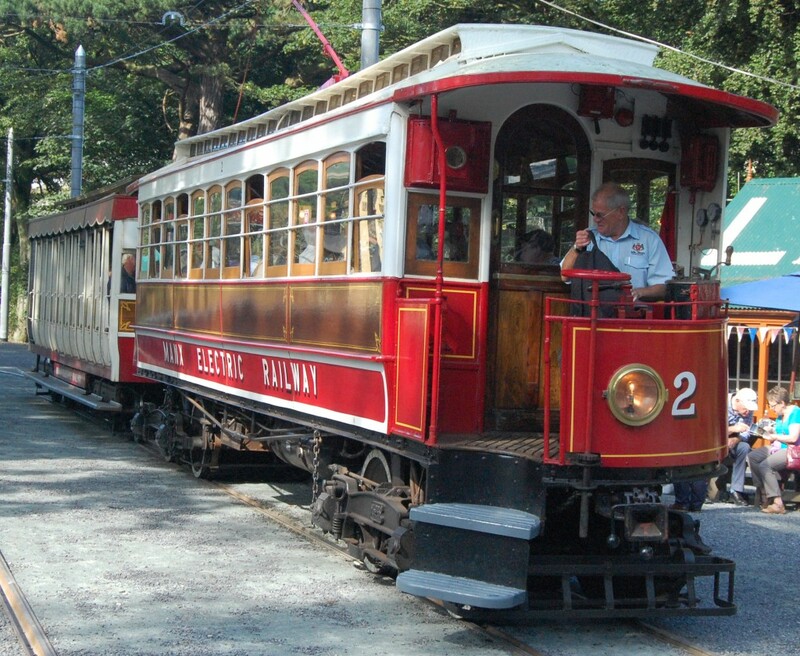 The Snaefell Mountain Railway takes visitors from the MER at Laxey to the top of the island’s highest mountain. 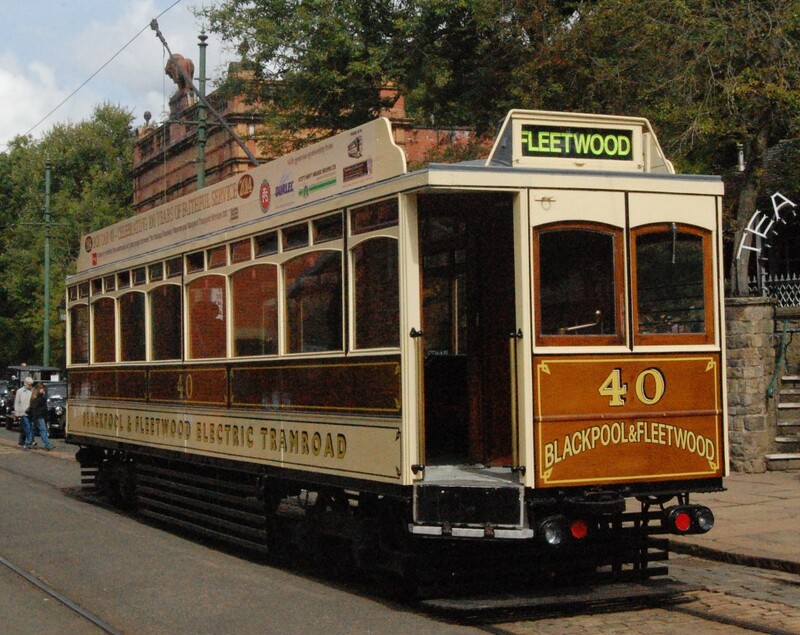 The Blackpool to Fleetwood tramway has been upgraded to modern light-rail standards, and is operated by uncompromisingly modern Bombardier Flexity 2 vehicles. There remains one survivor of John Cameron’s Blackpool fleet, no 40, built in 1914, now part of the National Tramway Museum fleet at Crich, Derbyshire. By courtesy of YouTube, it’s possible to enjoy a cab-ride from Starr Gate to Fleetwood in six minutes: https://www.youtube.com/watch?v=o3vsZWf7Y8U. The Isle of Man moves at a slower pace, and YouTube offers the real-time experience, complete with rain on the window-glass, of a back seat from Ramsey to Douglas in just over an hour: https://www.youtube.com/watch?v=vxhLp7iGOjs. This entry was posted in Lancashire's Seaside Heritage, Life-enhancing experiences, Manx Heritage, Transports of Delight on November 12, 2015 by Mike Higginbottom. The Isle of Man is rich in romantic stories, some of them true, and none more palpably true than the saga of Peggy, George Quayle’s armed yacht, which recently saw the light of day for the first time in perhaps 180 years. George Quayle (1751-1835) was a trader, banker and Member of the House of Keys, the Manx parliament, in the lively period of the late eighteenth century when the island’s economy struggled against the Westminster government’s opposition to the Manx habit of smuggling. Peggy, which was built in 1791, was berthed in a purpose-built basement boathouse beside the harbour in Castletown, within sight of Castle Rushen. She would have had no difficulty in sneaking out to sea from her private dock under cover of darkness: https://vimeo.com/95281569. After George Quayle died Peggy seems never to have sailed again. Indeed, for almost a century she was apparently forgotten. By the time word of her existence got about she was the oldest Manx boat in existence, three times unique as the oldest surviving schooner, of shallop construction, and fitted with sliding keels: http://www.nationalhistoricships.org.uk/register/1125/peggy. After the death of George Quayle’s descendant, Emily Quayle, in 1935, Peggy and her boathouse was bequeathed to the Manx nation and became the centrepiece of the Manx Nautical Museum, which opened in 1951. She was very gently restored after the Second World War, and has rested intact and largely untouched until 2014, when a series of super-tides threatened her location. To safeguard her and to assist her long-term conservation Peggy has been craned out of her berth and taken to a climate-controlled environment in Douglas: http://www.bbc.co.uk/news/world-europe-isle-of-man-31049837. The archaeological investigation and preservation process is expected to take at least five years. This entry was posted in Manx Heritage, Transports of Delight on February 18, 2015 by Mike Higginbottom. 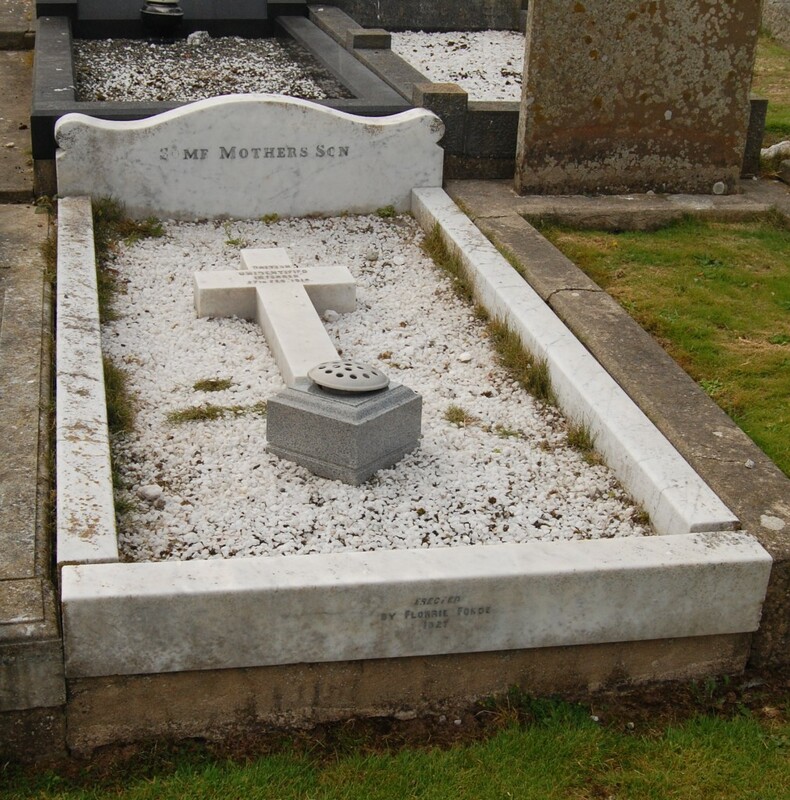 My friend John pointed out to me, in the Manx churchyard of Kirk Patrick, a grave to an unknown serviceman, with the motto “Some mother’s son”, a white marble cross inscribed “British – unidentified – interred 27th Feb 1918” and, in tiny lettering at the foot, “Erected by Florrie Forde, 1927”. Very little seems to be recorded of the circumstances of this story. Florrie Forde (1875-1940) was a hugely famous music-hall singer, Australian by birth, who dominated British variety theatre from the beginning of the twentieth century until the start of the Second World War. She kept a cottage on the Manx coast at Niarbyl, where this unidentifiable but clearly British serviceman was washed ashore. Rather than allow him to be buried in obscurity, Florrie wanted to make sure he had a grave, if not a name, as his unknown mother would have wished. Florrie was entertaining troops when she died in 1940, and her passing was commemorated by the poet Louis MacNeice in ‘Death of an Actress’: http://wordcount-richmonde.blogspot.co.uk/2012/11/death-of-actress-i-see-from-paper-that.html. This entry was posted in Cemeteries, Sewerage & Sanitation, Manx Heritage on November 9, 2014 by Mike Higginbottom. 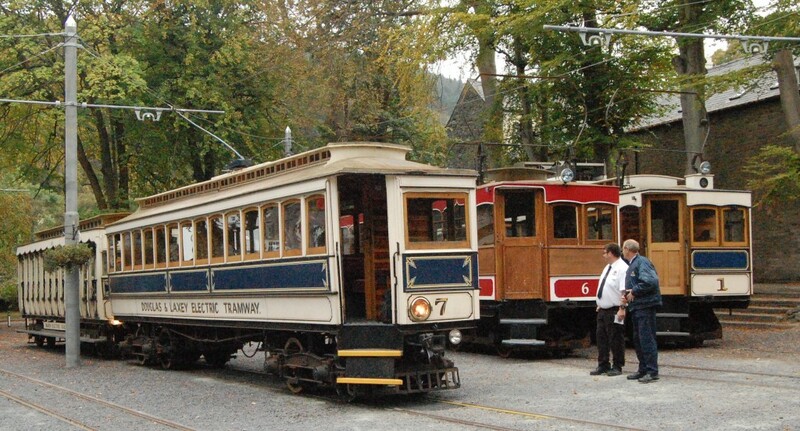 The Douglas horse tramway on the Isle of Man closed down on Sunday September 14th 2014 for an eighteen-month break. There will be no service in 2015 while almost the entire track, last renewed in the 1930s, is moved sideways to the seaward side of the promenade, which it will share with pedestrians rather than conflict with motor traffic. 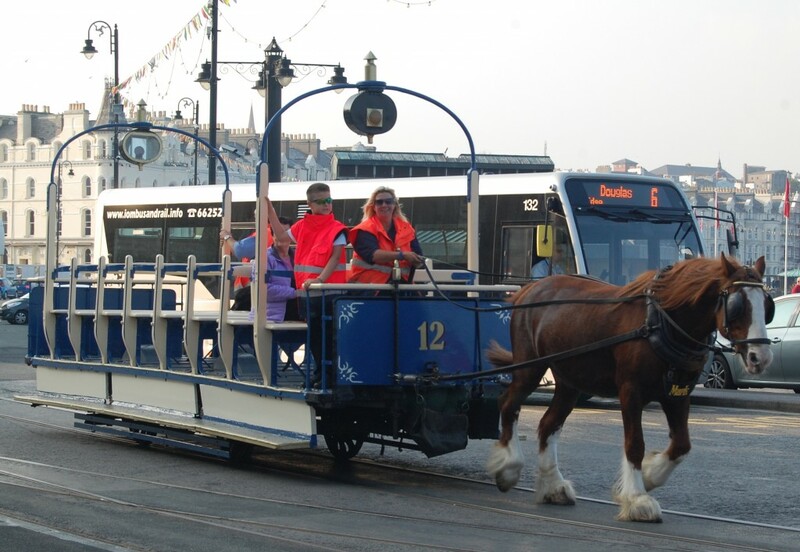 This will be less dangerous for boarding passengers and more comfortable for the horses: http://www.iomtoday.co.im/news/isle-of-man-news/last-horse-tram-until-2016-1-6841488. In the process, the double track will be reduced to single track with passing loops, an acknowledgement that the customary service of two opposing cars, passing once on each journey, doesn’t require the track-capacity that existed when the tramway carried 2¾ million passengers in a summer season. I’m not convinced that the recent operation of the tramway has made the most of its potential. At long last it’s permissible to use Explorer tickets on the horse trams. These cost £16.00 for a single day, £47.00 for a week, and provide unlimited access to buses, steam trains and electric trams as well as the horse-trams. Yet I heard a palpable gulp of astonishment from a horse-tram passenger when asked for £3.00 for a single journey along the promenade: for that sort of money you can get almost anywhere on the island by bus. I listened recently to a Member of the Legislative Council of Tynwald, the island’s parliament, explain the financial constraints affecting his government. In that context it’s commendable that the Douglas promenade improvements are proceeding, and that the horse tramway is included in the development. Even so, it’s a pity that in the impending upheaval the opportunity was missed to extend the Manx Electric Railway from Derby Castle, the northern terminus of the horse trams, to the Isle of Man Steam Railway at the other end of town, running the horse cars in between an electric service. This connection was first proposed in the 1890s by the promoter of what became the Manx Electric Railway, Alexander Bruce. Just because he was eventually exposed as a fraudster doesn’t mean the idea of a rail link all the way from Ramsey to the south of the island wasn’t a logical and practical idea. A pattern is emerging elsewhere to show that heritage rail transport is a money-spinner, as the authorities in San Francisco discovered when they had to close down the cable cars for a complete rebuilding. In Whitby a consortium of public agencies has collaborated with the North Yorkshire Moors Railway to bring steam trains back to the town at a cost of £2 million, with the intention of generating up to £6½ million within the local economy: http://www.bbc.co.uk/news/uk-england-york-north-yorkshire-28803121. 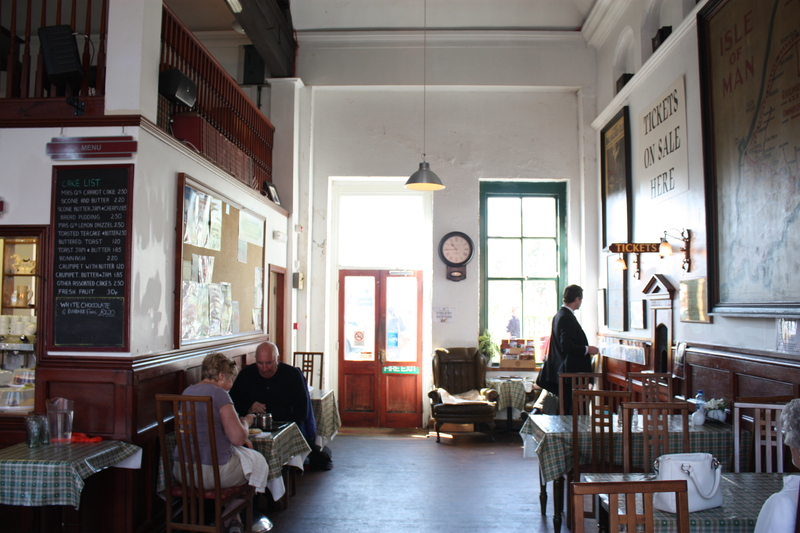 The island’s heritage railways require a £2.3 million subsidy to keep going, yet inject over £11 million into the Manx economy: http://www.iomtoday.co.im/news/isle-of-man-news/taxpayers-cash-for-railway-to-be-cut-1-6830523. Investing in electrification of the promenade tramway and extending it to the railway station would have been more easily practical now than at any time in the recent past or the foreseeable future. It’s well outside the box of Manx political thinking, and that’s a shame. Update: I assumed when the tram-service closed in September 2014 that the new promenade scheme was fully planned and ready to begin, but it seems not: http://www.isleofman.com/News/details/67197/trams-could-run-again-next-year. Further update: By December 2014 it was clear that the proposed promenade scheme hadn’t been thought through, and it was announced that the horse trams would run, after all, in 2015: http://www.iomtoday.co.im/news/isle-of-man-news/work-on-douglas-prom-put-off-till-the-autumn-horse-trams-to-run-as-usual-1-7012023. Yet another update: In January 2016, after a series of metaphorical U-turns over the future of the horse-trams, Douglas Corporation caused a major row by announcing the immediate and permanent closure of the tramway: https://www.facebook.com/douglaspromenade/posts/1499226487050596. This entry was posted in Manx Heritage, Transports of Delight on September 17, 2014 by Mike Higginbottom. The Isle of Man Railway terminus station at Douglas is not what it once was. Until it was drastically rationalised in 1979-80, the Manx capital’s station had the air of an important terminus, with two island platforms covered by iron canopies. The ironwork was removed, and one platform, the goods yard and a carriage shed were cleared to make way for a bus depot. The grand headquarters building, built in Ruabon brick in 1887, survives as one of the finer Victorian buildings in Douglas. Its Manx architect James Cowle also designed in Douglas the Tynwald Legislative Building (1894), the Victoria Road Prison (1891, demolished 2013), and elsewhere on the island the Onchan Methodist Church (1868), the spectacular Gothic house Crogga at Santon (1878), St Thomas’ Chapel at King William’s College (1878), St Catherine’s Church, Port Erin (1880) and the Ward Library, Peel (1907). 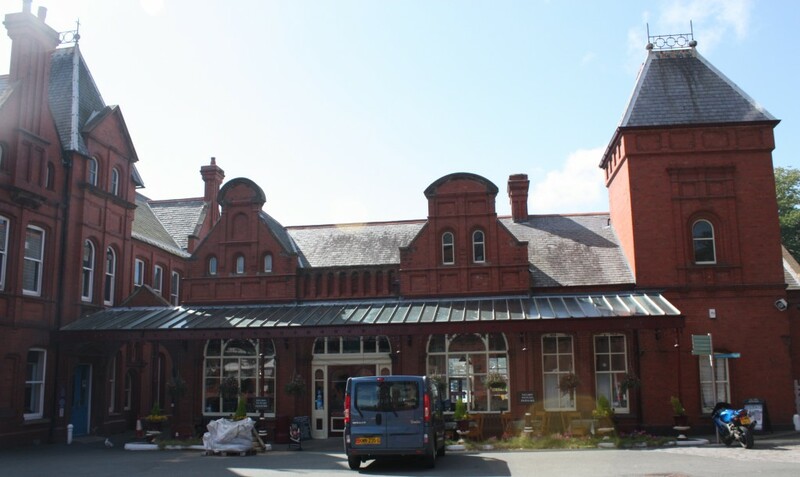 A proposal to redevelop the station, ostensibly “to make the building commercially viable to ensure its future preservation”, has produced a chorus of protest from Manx people [http://www.iomtoday.co.im/news/business/it-s-all-change-for-victorian-station-1-6781032#comments-area], but it hasn’t yet caught the attention of people in the UK who admire Victorian buildings and love the Isle of Man. The proposal talks of removing floors, ceilings and partitions, and inserting a mezzanine to accommodate an enlarged restaurant and a retail outlet, and to provide a glazed ‘al fresco dining area’. The 1984 entry in the Manx Protected Buildings Register offers almost no protection to this building, which “is not felt to be a good example of such a Victorian structure”. Actually, in terms of its magnificence and its significance in transport history, this is the St Pancras of the Isle of Man. Emotion, however genuine, needn’t enter the debate. All this project needs is intelligence, imagination, sensitivity and financial acumen. There are lots of practical examples in the UK, and a few in the Isle of Man, to prove that the best way to ensure historic buildings contribute to present and future prosperity is by treasuring and nurturing their integrity, by maintaining their intact surviving features, rather than by creating a tacky pastiche to satisfy a developer’s bottom line. The principle applies to all sorts of buildings – a monastery [http://www.mikehigginbottominterestingtimes.co.uk/?p=1451], a pumping station [http://www.mikehigginbottominterestingtimes.co.uk/?p=3442], a theatre [http://www.mikehigginbottominterestingtimes.co.uk/?p=3003], a flour mill [http://www.mikehigginbottominterestingtimes.co.uk/?p=2918] or a factory [http://www.mikehigginbottominterestingtimes.co.uk/?p=2585]. I hope that before Douglas railway station is trashed, Manx politicians – and Manx property developers – will recognise that the smart money lies in conserving the historic environment, not laying it waste. Further update: Phil Gawne MHK in a recent interview reiterates his willingness to engage in dialogue with railway heritage organisations: http://www.manx.net/tv/mt-tv/watch/66948/douglas-railway-station?utm_medium=facebook&utm_source=twitterfeed. The footage provides, for the first time as far as I can tell, images of the proposed alterations and of the current condition of the station forebuilding and the separate clock tower. This entry was posted in Manx Heritage, Transports of Delight, Victorian Architecture on August 20, 2014 by Mike Higginbottom. My Manx Heritage (September 9th-15th 2014) tour makes a feature of the Isle of Man’s superb public transport, both the famed heritage rail services and the efficient, extensive bus network. The tour handbook includes fleet lists of the steam railway, the electric railway and the horse tramway, so that those who don’t habitually take notice of such things can check the age of their vehicle. Usually, if you’re travelling on steel wheels on steel rails in the Isle of Man, your carriage is at least a century old. This astonishing collection of transportation is, without exception, indigenous to the island – built elsewhere but designed for Manx service. Some examples have been restored or rebuilt following years of neglect or accidental damage, yet the mechanics and the operating practices date essentially from the nineteenth century. The Manx Electric Railway fleet includes the two oldest remaining working electric tramcars in the world still in use on their original route. Nos 1 and 2 were delivered to the island by the Birkenhead manufacturer, G F Milnes, along with a third, No 3, which was destroyed in a depot fire in 1930, to start the initial 2¼-mile service between Douglas and Groudle in September 1893. These long, bogie single-deck trams with their open cabs and clerestory roofs suggest American ancestry, for though the Manx line is circuitous and hilly and built to a modest three-foot gauge, it has stronger resemblances to the American interurban railway than to the British street tramway that evolved in the 1890s. For years these two survivors were relegated to route-maintenance support rather than passenger service but they’re now treasured for their antiquity and they operate regular-timetable services from time to time. Inevitably, both cars have been modified over the years, but the technology is essentially of the 1890s, and it works as well as it ever did doing the job it was designed for. This entry was posted in Manx Heritage, Transports of Delight on August 8, 2014 by Mike Higginbottom.